Yea, this is supposed to be Beyond Oasis, and that’s done…kinda. I’m just lazy around the holidays. Anyway, I picked up Atari Classics Evolved recently, so I’ll give a little review of it while it’s still timely and save Beyond Oasis for another day. Personifying the solution to the debate over which is better between re-releases and enhanced remakes, Atari Classics Evolved has something for everyone. 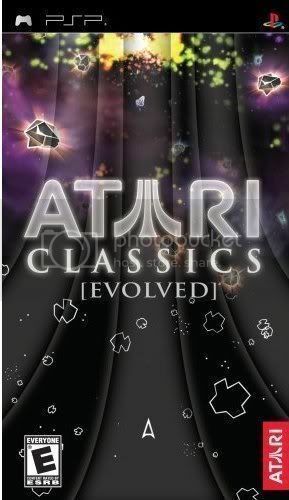 The collection contains the original versions of eleven classic Atari games: Tempest, Battlezone, Millipede, Warlords, Pong, Asteroids, Centipede, Super Breakout, Missile Command, Lunar Lander, and Asteroids Deluxe, as well as “Evolved”Â (remade) versions of each. There are also over 50 unlockable Atari 2600 games in their original form. I think everyone knows these games (and you should…hell, these games all came out nearly a decade or more before I was born and even I know them!) but let’s go through them. 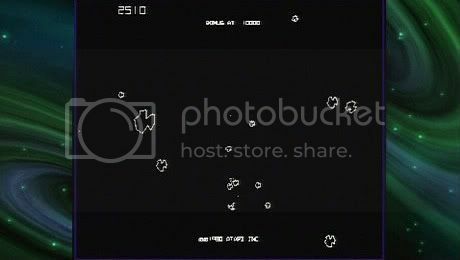 In Asteroids and Asteroids Deluxe you take control of a ship and shoot asteroids and the occasional UFO. Battlezone is a 3-D (well, kind of) shooting game, shooting tanks and missles in an awesome looking grid-zone. Centipede and its sequel Millipede are vertical shooters in which you’re shooting all manner of bugs. In Lunar Lander you’re trying to land on the moon while using the least amount of fuel possible. In Missle Command you protect several cities from a missile attack. In Super Breakout you’re bouncing a ball against a paddle against several layers of bricks, trying to break them all. 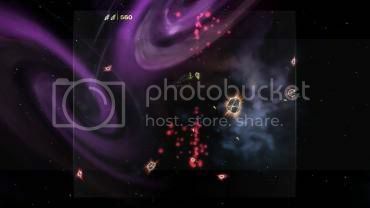 Tempest is a shooter in which you try to keep enemies from reaching the top of…whatever it is you’re shooting from. It’s another 3-Dish game. In Warlords you are a knight bouncing a dragon’s fireball between 3 other castles, trying to protect you’re king while breaking away the walls around the other castles, and is my favorite of the collection. Pong is Pong. Seriously, if you don’t know Pong, you should probably put the controller down before you hurt yourself because you’re that much of an idiot. The classic versions of the games are just that: pure, original, untouched Atari goodness. Games like Millipede and Super Breakout are played with the PSP turned on its side, with the D-pad at the bottom, so the game isn’t scrunched on the horizontal screen. The controls are nice and simple of course, usually just the D-pad or analog stick to move and one button to fire a projectile, if even that. For some games, the control can be a little tough to get a hold on – sometimes you’re either moving too slow or too fast – but that could be summed up to the difference between the old joystick and the D-pad/analog stick. The sound is a bit wonky, but that’s probably an emulation issue. All in all, they’re pretty good ports. 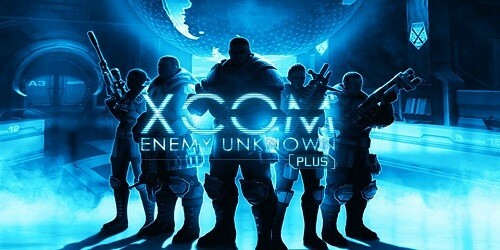 The “Evolved”Â version of each game is the big selling point of the collection. Each game is given enhanced graphics, giving each a more realistic look, and Warlords and Battlezone support online multiplayer. Some of the games are entirely different. Pong now looks like an actual game of ping-pong, and Warlords has an industrial look instead of a medieval one, sending balls back at machines instead of sending fireballs at different castles. I’m actually not very happy with that. What was wrong with a knight defending a castle? Is that not edgy and cool enough for the kids these days? Anyway, Tempest and Battlezone retain some of the grid-like elements of the original while enhancing the background and enemies, which I thought was pretty cool. But some of the graphical enhancements are just unnecessary and even somewhat distracting. In Millipede, when you shoot a bug their guts explode in every direction, which is cool-looking and all, but kind of distracting when you have to pay attention to bugs flying at you from all over the screen. The bricks in Super Breakout also explode in every direction, and the ball has a fiery mane flowing around it, which, again, is awfully pretty but could cause you to miss hitting it if you aim for the wrong part. Every Evolved version also has 4 objectives to complete, such as earning a certain amount of points or playing through a certain amount of levels. Completing every objective on each Evolved version unlocks the Atari 2600 games. Some of these objectives are pretty difficult to complete due to the aforementioned control issues, which are still somewhat present in the Evolved versions. Atari Classics Evolved is a great collection no matter who you are. 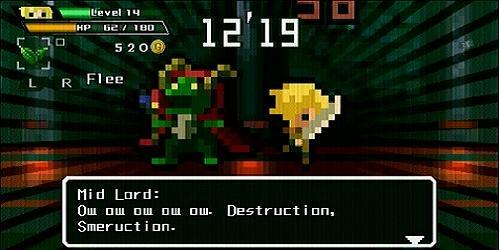 If you remember the original versions and want to play them again, they’re there. If you’re new to but interested in Atari but online gameplay and enhanced graphics is your thing, they’re there. It’s a little tough to control on a PSP, but having all these classics on a portable system is awesome. If you’re not at all interested in Atari…well, save your $20, but know that you’re ignoring not only an important part of history, but a fun collection. Next Time: Beyond Oasis. Seriously. Until then, here’s to a safe, happy, healthy 2008 for everyone!